The World Bank International Committee on Credit Reporting has released a report titled Facilitating SME Financing Through Improved Credit Reporting for public consultation. BIIA encourages its members to study this document and submit their comments. Please see the links below. Download report: Facilitating SME Financing Through Improved Credit Reporting. Please send your comments to Fredesvinda F. Montes Herraiz at [email protected] and Jose Antonio Garcia Luna at [email protected]. Background: In September 2011, the General Principles for Credit Reporting were issued by the World Bank and produced under its guidance by an international task force composed of central banks, other economic authorities, multilateral organizations, consumer/data protection authorities and credit reporting industry associations. In March 2013, the Task Force agreed to continue working on the policy implications related to the implementation of the General Principles for Credit Reporting and was transformed into a permanent committee, the International Committee for Credit Reporting (ICCR). 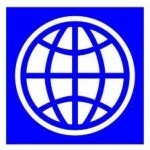 At its meeting in Rome in March 2013, the ICCR identified credit reporting on small and medium enterprises (SMEs) as a key area requiring further development to effectively reduce information asymmetries between lenders and borrowers, and by this means contribute in improving SMEs’ access to adequate external financing. In this context, the ICCR has produced this draft report, which analyzes the status of credit reporting with regard to SMEs and identifies 10 possible actions that could be undertaken by authorities and other relevant policy makers to address the identified failures. This draft report is now being released for public comment until April 25, 2014. Members of the International Committee for Credit Reporting (ICCR) are: The Arab Monetary Fund, the Asociación Latinoamericana de Burós de Credito, Association of Consumer Credit Information Suppliers, Banco Central do Brasil, Banco de España, Banque de France, Banca d’Italia, Banco de México, Bank for International Settlements, Business Information Industry Association (BIIA), Center for Latin American Monetary Studies (CEMLA), Central Bank of the Republic of Turkey, Consumer Data Industry Association, Deutsche Bundesbank, European Bank for Reconstruction and Development, Inter-American Development Bank, International Finance Corporation, People’s Bank of China, Reserve Bank of India, South Africa’s National Credit Regulator, U.S. Consumer Financial Protection Bureau and the World Bank.